You can certainly do this. The reason the code is showing up instead of the video is that you are pasting it as text instead of HTML. 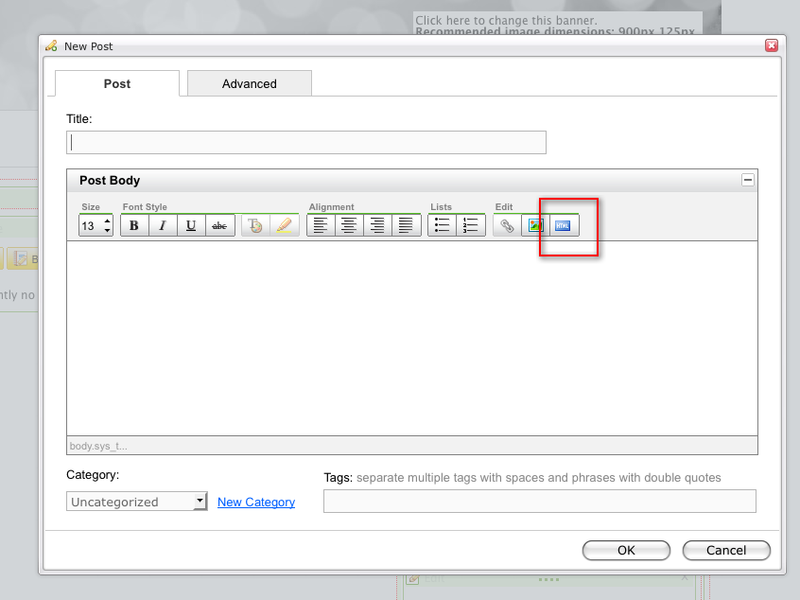 You need to click the "HTML" button at the end of the text editing toolbar and then paste your code. See the screenshot for the location of the button I am referring to. Get back to me if this does not work for you or if you had something different in mind. I even tried to creat a new blog just for the video, but the same, wrong video shows up. This is thewrong one. as you can see, they are not even "close"
I don't see a URL in your post, can you try adding it again please?